Lot 301. ANCIENT JUDAEA. First Revolt, 66-70 AD. 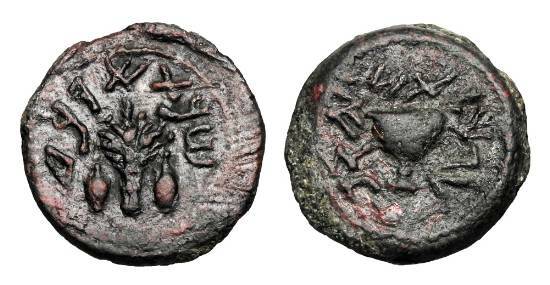 Æ Eighth shekel.